A caster (also castor according to some dictionaries12) is a wheeled device typically mounted to a larger object that enables relatively easy rolling movement of the object. 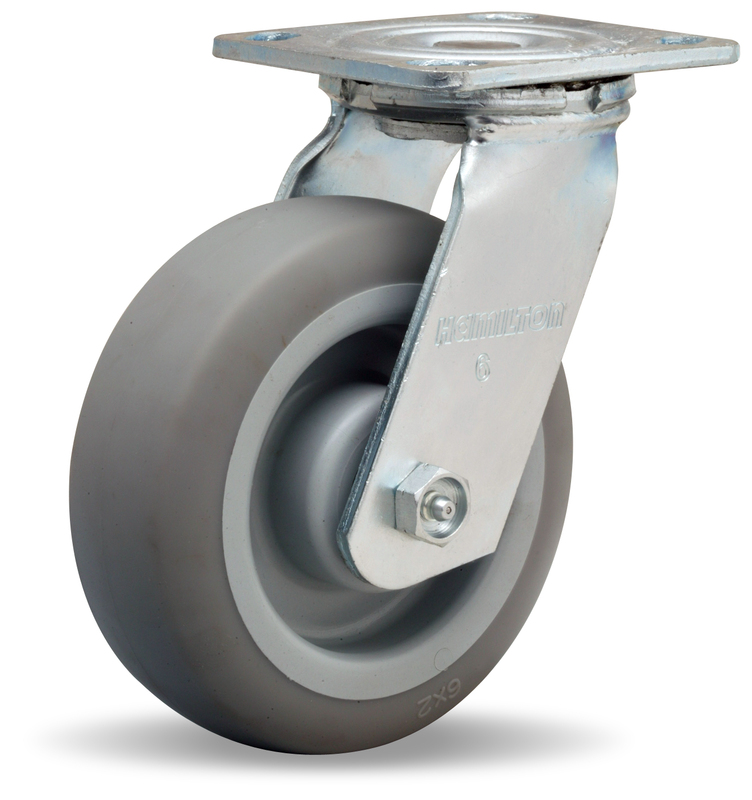 Casters are essentially special housings that include a wheel, facilitating the installation of wheels on objects. Casters are found virtually everywhere, from office desk chairs to shipyards, from hospital beds to automotive factories. They range in size from the very small furniture casters to massive industrial casters, and individual load capacities span 100 pounds (45 kg) or less to 100,000 pounds (45 t). In technical terms, caster wheels “enable relatively easy rolling movement” because they add no kinematic constraints to the body the object they are attached to. Since there is an offset between the kingpin of the swivel and the vertical axis going through the center of the wheel, any plane trajectory may be assigned to the kingpin: the wheel and the swivel will rotate accordingly to accomodate this movement. We establish in the next section the equations that relate these values and prove this result.